Bone Appetit Plastic Table Cover will help you to set a decorative party table for Halloween. 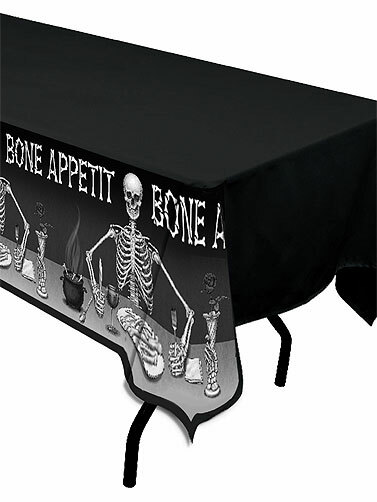 Black skeleton themed table cover makes a play on the phrase Bon appétit. Black plastic table cover features skeletons and bones. 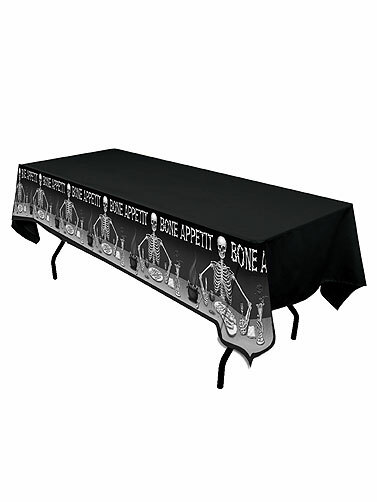 Bone Appetit Plastic Table Cover measures 54"W x 108"L. 1 pc.